Being a college professor would be a great job! You do a little teaching, and get the summers off! As part of my continuing efforts to dispel the surprisingly pervasive myth that academics lounge by the poolside all summer, here is how I spent my “summer vacation” this year. Conferences. I gave two conference presentations, gave two invited talks, and co-chaired (and co-organized) one panel. All were different, and but one all were new material. So, I also wrote these. “Manifesto for a Comics-Children’s Literature Alliance” at the 40th Annual Children’s Literature Association Conference in Biloxi, Mississippi, on June 14th. “How, Where, and Why to Publish Your Book” (invited talk) at University of Winnipeg (Manitoba, Canada) on June 24th. This was a longer and revised version of “How to Publish Your Book,” which I first gave on a professional development panel at a Children’s Literature Association conference some years ago. 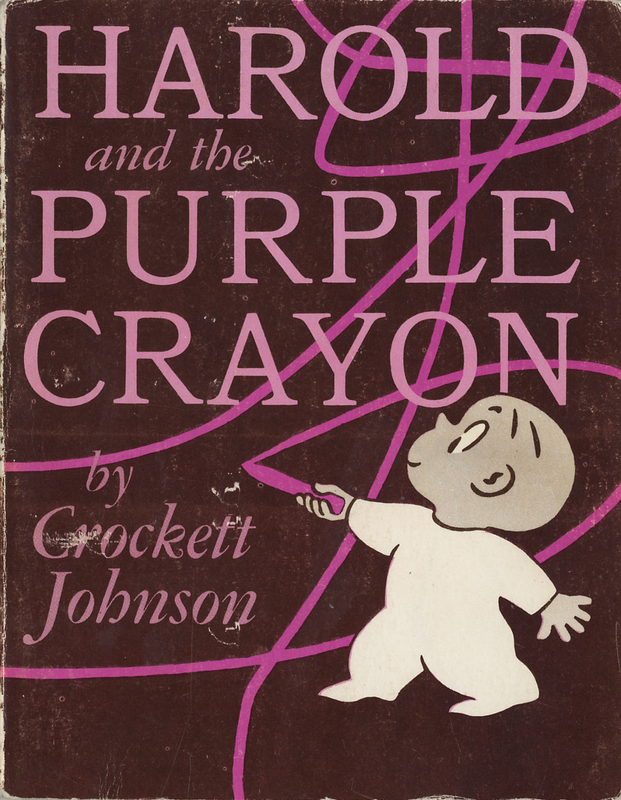 “‘He came up thinking fast’; or, How does Crockett Johnson’s Harold and the Purple Crayon work?” (also invited) at the University of Winnipeg’s Visual/Verbal Texts Symposium on June 25th. This was a labor of love for me. It aims to be a tour de force close-reading of Harold and the Purple Crayon, revealing just how complex such an apparently “simple” book really is. I look forward to expanding it for publication. “Whiteness, Nostalgia, and Fantastic Flying Books: The Disappearance of Race in William Joyce” at the Biennial Conference of the International Research Society for Children’s Literature in Maastricht, Netherlands, on August 12th. This will form part of a book called Erasing Race in Children’s Literature. 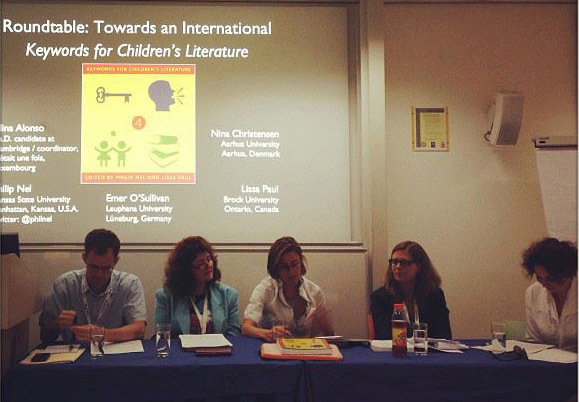 “Keywords for Children’s Literature: A Roundtable Discussion,” co-chaired with Lissa Paul, at the Biennial Conference of the International Research Society for Children’s Literature, on August 13th. As I note in my previous blog post, this panel was devoted to conceiving a second edition of Keywords for Children’s Literature (2011) — should sales of the current edition warrant — that better takes into account the broader, international world of children’s books. Children’s Literature Association Conference in Biloxi, Mississippi, June 12-16. Not covered by the university or sponsor of event. Kansas State University provides funds for less than one conference each year. So, at this point in the year, such conferences are always self-funded. Visual/Verbal Texts Symposium in Winnipeg, Manitoba, June 24-28. All expenses covered by organizers of event. Canada makes available far more public funds for the Humanities than the U.S. does, and the organizers won financial support for the conference. 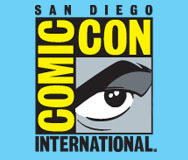 Comic-Con in San Diego, California, July 17-22. As an Eisner nominee, I paid no registration fee. But the plane tickets, hotel, and food (except for the Eisner Awards banquet, which was covered) were all self-funded. For what I did and learned there, see my reports on Comic-Con 2013. Writing. I wrote two new essays, successfully expanded a third, and completed a failed revision on a fourth. (What do I mean by “completed a failed revision”? I’ll explain in a moment.) I also wrote — or, really, co-wrote — a fellowship proposal. “Children and Comics” was the sole piece connected to any of the conference presentations. It’s a radially recast “Manifesto for a Comics-Children’s Literature Alliance,” and will — if editors Bart Beatty and Charles Hatfield like it — appear in The Cambridge Companion to Comics next year. “Wild Things, I Think I Love You: Maurice Sendak, Ruth Krauss, and Childhood.” It would have helped if I’d paid attention to the email inviting me to contribute this piece to a special section on Sendak. I’d thought the journal asked for a 4000-word piece, and so I wrote nearly 6000 words with the aim of trimming it down to 4000. Then I checked the email, and learned that the request was in fact for a 1500-word piece. Oops. With the assistance of Karin and of editors at the journal, I managed to get it down under 2000 words. “A Manifesto for Children’s Literature; or, Reading Harold as a Teen-Ager” is a revised and expanded version of the blog post by the same name. A journal’s editor read it and asked me to work up a longer version of it. I’ve really enjoyed working on it because it’s more autobiographical than what I usually write, and because it allows me to articulate more fully a vision of why children’s literature matters to people of all ages. Marie Curie Fellowship. I frankly think I’m a long shot for this. But, Mick Gowar and Zoe Jaques kindly invited me to apply. Thanks to their efforts and the efforts of others at Anglia Ruskin University, it’s submitted. If I get it, it will help fund my sabbatical year and relocate me to England. Note to non-academics: Every seven years, we can apply for a sabbatical: you get either one semester at full pay or a full year at half pay. I’m going for the full year and trying to make up the difference. Another note to non-academics reading this: I don’t think I get paid for any of the essays. I may receive compensation for the Cambridge Companion piece (I’ve yet to see that contract), but academic publications typically do not pay. At best, you get a copy of the publication. Teaching. I choose not teach in the summer, but I do have to plan future classes. Speaking of assistance, I’m grateful to the experts I’ve consulted with questions about the graduate-level African American Children’s Literature course I’m teaching in the Spring of 2014. This is the first time I’ll be teaching this. Some courses we teach because we’re experts; others we teach because we want to become experts. For me, this course is definitely the latter. So, thanks to Gerald Early, Michelle Martin, Kate Capshaw Smith, and Ebony Elizabeth Thomas for sharing their knowledge. The Fall 2013 courses are both ones that I’ve taught before. I changed some of the books on the Literature for Adolescents class, adding: Kristin Cashore’s Graceling, Francisco X. Stork’s The Last Summer of the Death Warriors, and this year’s “K-State First Book,” Ernest Cline’s Ready Player One. The Harry Potter’s Library course remains roughly as it did the last time I taught it (2011). I say “roughly” because this time we’ll actually get to use Pottermore, which was still in beta in the fall of ’11. Reviewing and editing manuscripts. As editor for Routledge’s Children’s Literature and Culture series, I edited four books, reviewed two manuscripts, and responded to five book proposals. I also reviewed a manuscript for a children’s literature journal. Only one committee meeting! For an internal grant administered by Kansas State University. I had to review the grant proposals beforehand, but still — only one meeting is unusual for an academic. I doubt any of my peers had just one committee meeting this summer. Other writing. There’s correspondence with editors, authors I’m editing, my agent (who is also a friend), friends, other scholars, students, former students, future students, and people who kindly invite me to come and give talks. I wrote one letter of recommendation for a colleague applying for a fellowship. And things I’m forgetting, I’m sure. Barnaby! In May, while visiting friends and family in New England (more on that in a moment), I visited the Ruth Krauss Papers at the University of Connecticut to seek scans of a bonus item we’ll include in Crockett Johnson‘s Barnaby Volume Five: 1950-1952 (Fantagraphics, 2017). In Cambridge, I stopped by Harvard’s archives for some reconnaissance on strips for Barnaby Volume Two: 1944-1945 (coming from Fantagraphics next year). There were several email exchanges on this, and I’m still working to hunt down a few rogue strips. I edited one of the essays that will appear in Volume Two, talked to a journalist or two about Barnaby Volume One: 1942-1943 (published earlier this summer), and am currently in conversation about having a book party in October in NYC. There are other Barnaby-related developments that I’ll wait for Fantagraphics to announce. Seuss TV. 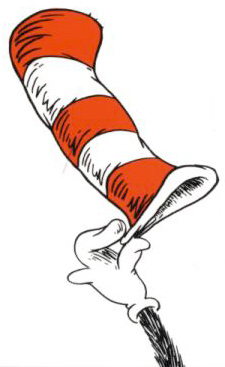 Also during that trip east, I taped an interview on Dr. Seuss with A&E Biography in NYC. I have no idea whether they’ll use the footage, but I had fun doing it. Yes, I had fun. In May, I attended my twenty-fifth high-school reunion in Connecticut, and visited friends in New York City, Rhode Island, and Massachusetts. That was great. In August, I went hiking with family in Switzerland (en route to the conference in Maastricht). While there, I also played with my niece (the subject of the Emily’s Library series). We read stories, played with a jar of buttons, and with Matchbox cars. I pushed her on the swing, and she served me many imaginary breakfasts, warning me each time “Be careful. It’s hot.” I also spent time with Emily’s mommy and daddy, my mother, her second cousin, and my cousin. In Amsterdam, I also got to hang out with him and his partner. He (my cousin) and I became reacquainted last summer after a 29-year gap. My family is spread out across the globe, and as we age I appreciate more and more the remaining time we have together. My friends are also spread out around the planet. Since many are also academics or connected to publishing (comics, children’s books), conferences are not only learning experiences but a chance to catch up with people I care about. 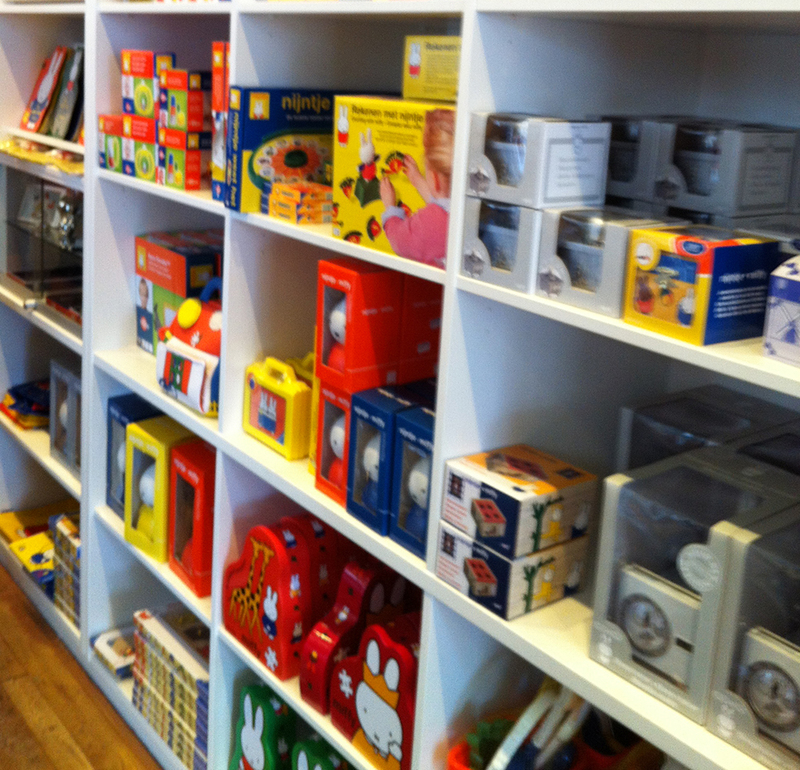 They are of course learning experiences (see previous post), as are all of my travels. I visit museums and bookshops, walk along trails and through city streets, listen to and talk with people. While I sit in planes and trains, I read books, I read book proposals, I edit books, I write emails, and I write whatever the next thing is — the talk, the essay, the book. But I don’t get summers off. * One of those countries and one of those states were strictly personal, not business. But that’s still a fair bit of travel. Summertime, and the Living Is Busy (19 May 2012). The conclusion to my “What Do Professors Do All Summer?” series, in which I publicly kept track of what I did each day for one week. What Do Professors Do All Week? (26 Feb. 2011). The conclusion to my “What Do Professors Do All Day?” series, in which I track a week’s worth of academic labor during the semester. Professors Work Harder Than You Do, David C. Levy (26 Mar. 2012). A brief response to an “expert” who lacks expertise. Well, at least she published a sort-of correction (7 Jan. 2013). A rebuttal to further misinformation about what professors do. 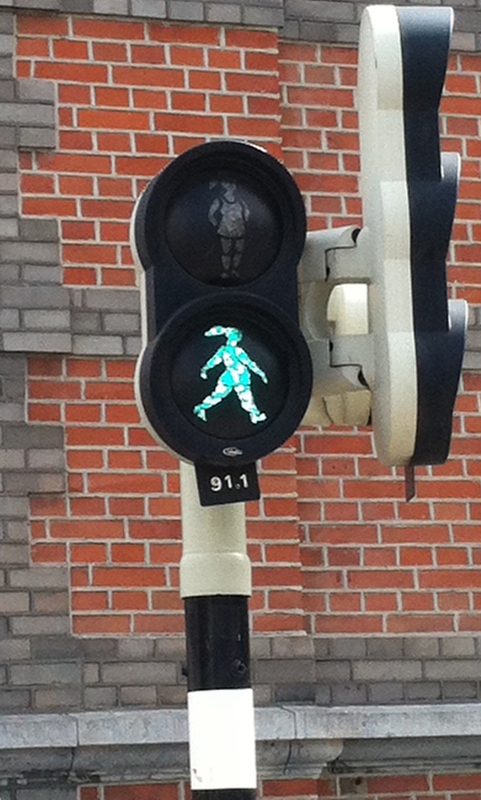 A brief report on the 2013 International Research Society for Children’s Literature (IRSCL) conference (held this year in Maastricht), including: Dutch children’s literature, street signs, and a loss of confidence in cut flowers. 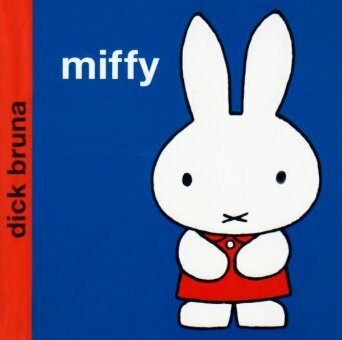 The most famous Dutch child is actually German. As I learned at the Anne Frank House, Otto Frank moved his family from Frankfurt to Amsterdam in order to escape Nazi persecution. 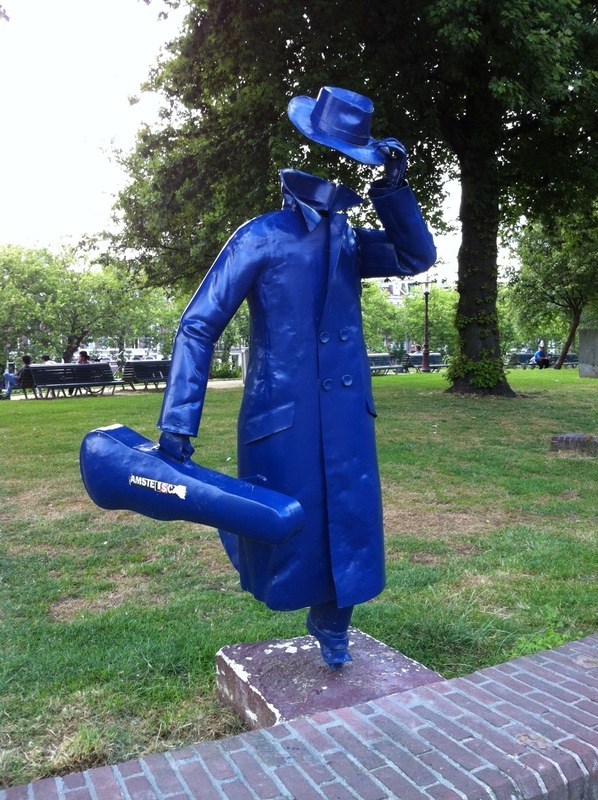 (Before Maastricht, I spent a few days wandering Amsterdam and visiting my cousin.) If you are ever in Amsterdam, definitely visit the Anne Frank House. I had to wait a little over an hour in line, but it was well worth it. The museum is very well-organized, and contains lots of illuminating artifacts — including videos, photos, and the diary itself. It’s actually in the building where she and her family hid until they were betrayed to the Nazis. You can climb the stairs to where the family lived while in hiding. I was most struck by something Otto Frank — the sole survivor of the two families who lived two years in the Annex — said, on one of the videos. 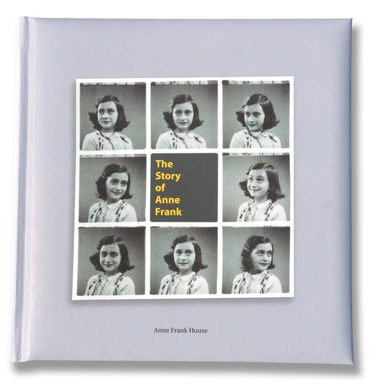 He said that the Anne Frank he encountered in the diaries was not the daughter he knew. The diaries revealed a side of her that he never saw. From this, he concluded that no parents ever truly know their children. As I mentioned, I was in Maastricht for the IRSCL (Aug. 10-14), and while it would be impossible to offer a full account of that conference (there were about 9 concurrent sessions), here are a few highlights. Bart Moeyaert‘s dinner speech on Sunday was magnificent. He began by greeting us, “Good evening ladies and 11 gentlemen.” (There are far more women who study children’s literature than men, and IRSCL attendance reflected that.) Then, he started his speech with the sentence “Recently I lost confidence in cut flowers.” What followed was a wise, witty, beautiful speech about hope, happiness, and, yes, cut flowers. The way he spoke reminded me of Guus Kuijer’s Book of Everything — which, as I say, is a favorite (and seems to be the sole Kuijer book in English). So, I now want to read Moeyaert’s books, about five of which have been translated into English. 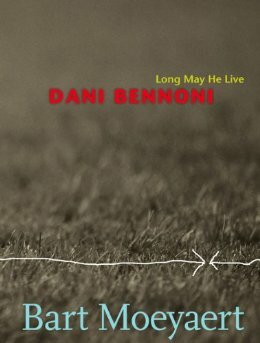 I have just placed an order for his Dani Bennoni: Long May He Live (2004) and It’s Love We Don’t Understand (1999). 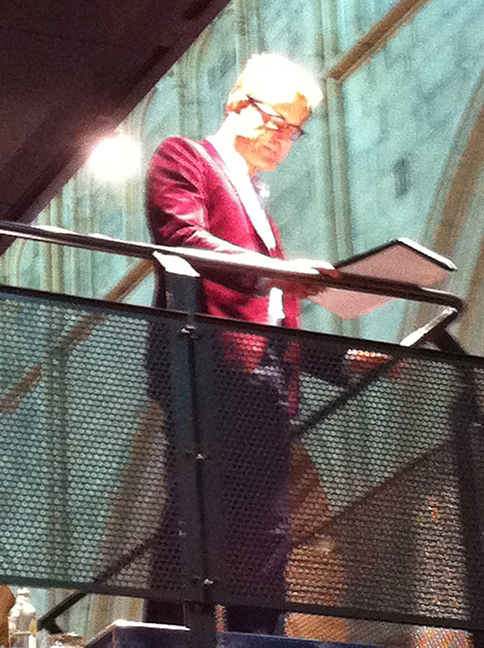 Until IRSCL, I’d not even heard of Bart Moeyaert, despite the fact that he is an award-winning novelist and poet. This is why I went to his talk and why I attend IRSCL in the first place: I want to learn more about the vast world of children’s literature. 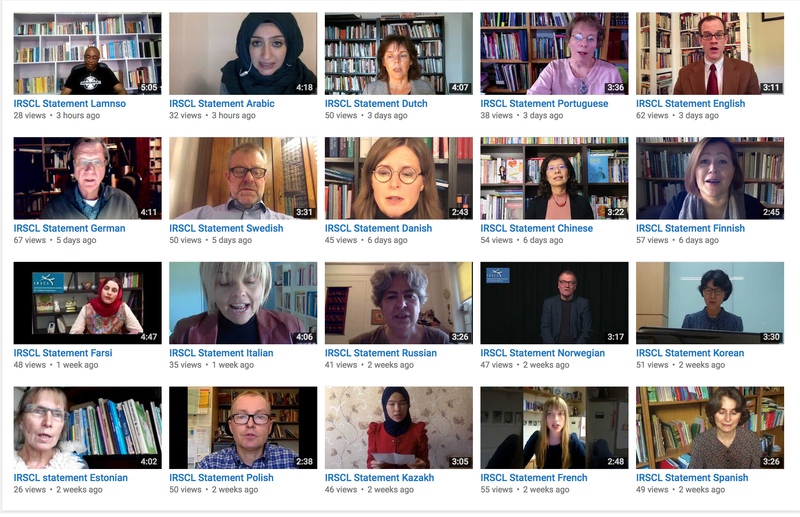 As Emer O’Sullivan observed, “There are very few conferences so international [as IRSCL]. Imagine a conference on Literature.” And she’s right. That’s what makes the field so unmanageable and so interesting. She made that comment during our roundtable, “Towards an International Version of Keywords for Children’s Literature,” which featured (from left to right, below), me (co-chair), Emer O’Sullivan, Nina Alonso, Nina Christensen, and Lissa Paul (co-chair). (Photo by Sarah Park Dahlen). 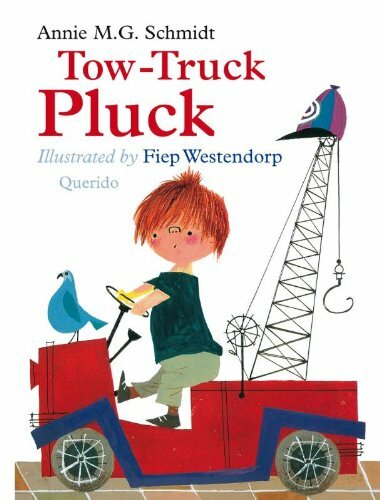 If Keywords for Children’s Literature (NYU P, 2011) does well enough commercially, Lissa and I will edit a second edition that adds missing keywords and missing perspectives. The original book’s contributors are from the US, UK, Canada, Australia, and New Zealand; one editor (me) is American, and the other (Lissa) Canadian. So, it’s very focused on children’s literature in English (as its introduction acknowledges). At a Nordic Children’s Literature Conference in Oslo last August, attendees asked us: Where’s the Nordic Literature? And we thought: Right. Good point. So, thanks to Nina Christensen and the encouragement of Mavis Reimer (both of whom were at the conference), we convened this panel, during which we both gained many valuable suggestions on how we might proceed, and learned how challenging such a task would be. Should one “internationalize” an extant entry by simply weaving in references to texts from non-Anglo countries? If so, then which texts? And what about keywords that emerge out of a particular linguistic or cultural context? We need more contributors from different countries, and (we think) an editor from a non-English speaking country. Should we get the opportunity, creating a more international edition will be a daunting task, but one very much worth pursuing. We go to conferences to learn from other people. Here are a few of the good ideas I heard. 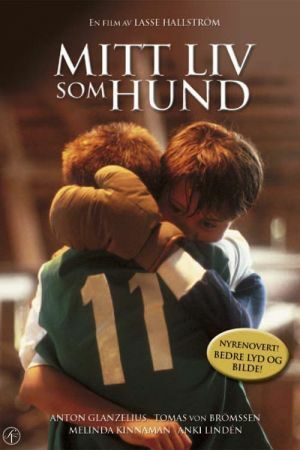 I keep coming back to the line, “I am a specialist in empathy,” from Ingemar, the 13-year-old narrator of Reidar Jönsson’s novel My Life as a Dog. Ingemar says, “I also keep track of other peoples’ accidents. Not only my own. One must compare. In reality, I am a specialist in empathy.” I’m as intrigued by the notion (how would one become a specialist in empathy?) as I was by the paper in which it appeared: Nina Christensen’s analysis of three iterations of Laika in children’s culture. (The other two were Lilian Brøgger’s picture book Nina Sardina, and the short film The Little Dog Laika). 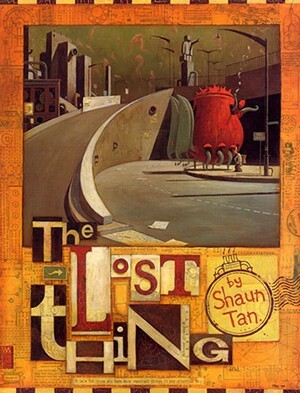 Nicole Markotic interpreted the title character of Shaun Tan’s The Lost Thing as a metaphor for disability. It’s out of place in other ways than just being lost — its non-normative body also marks it as different in this society. I’d never thought about that, nor that the boy himself’s anti-social behavior and obsessive collecting also aligns him (metaphorically) with an autistic child. Lydia Kokkola‘s “Limiting Empathy: Refusing to Care About Literary Characters” taught me about affect and its limits in literary criticism. I especially liked her willingness to interrogate assumptions she had thought to be true. 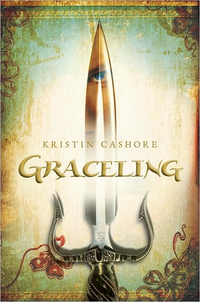 She had wanted to believe that empathizing with a character, feeling her trauma, would help us grow in understanding. But she’s changed her mind. I can’t do her argument justice, but her bibliography (incomplete, compiled from my notes) forms a great reading list for anyone interested in affect. Kenneth B. Kidd, “‘A’ is for Auschwitz: Psychoanalysis, Trauma Theory, and the ‘Children’s Literature of Atrocity'” Children’s Literature 23 (2005): 120-149. I’ve read this one, and recommend it. Eric Tribunella, Melancholia and Maturation: The Use of Trauma in American Children’s Literature (2009). I also recommend this one. Simon Baron-Cohen, Zero Degrees of Empathy (2012). Haven’t read this. Martha Nussbaum, Upheavals of Thought (2001). I’ve read about 100 pages of this one. Very interesting. Martha Nussbaum, Cultivating Humanity (1997). Haven’t read this. Blakey Vermeule, Why Do We Care About Literary Characters? (2011). Haven’t read this one either. 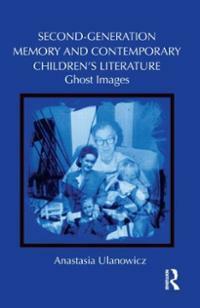 Anastasia Ulanowicz, Second-Generation Memory and Contemporary Children’s Literature: Ghost Images (2013). I edited this one! While that was a pleasant recognition for me, all credit goes to Anastasia. The ideas are all hers. What does it mean to love and act morally? Deb Dudek‘s “‘Caring Gets You Dead, huh?’ or ‘all their wonderful nakedness’: Love and Moral Action in the Vampire Diaries” caught me immediately with a great hook of an opening line: “Don’t you just hate it when two beautiful men are in love with you?” But its central question (about the relationship between love and moral action) is what kept me thinking. The paper — which is part of a book project on Buffy, Twilight, and (obviously) The Vampire Diaries — ended with a close-reading of Moby’s cover of New Order’s “Temptation.” If you haven’t heard that cover, you really need to, and so I’m embedding it below. Robin Bernstein won the IRSCL book award for Racial Innocence, which is the fifth (or sixth? or more-th?) award that book has won, and rightly so. She recorded a speech to be played at IRSCL, but… the sound failed. So, here’s what everyone should have heard. 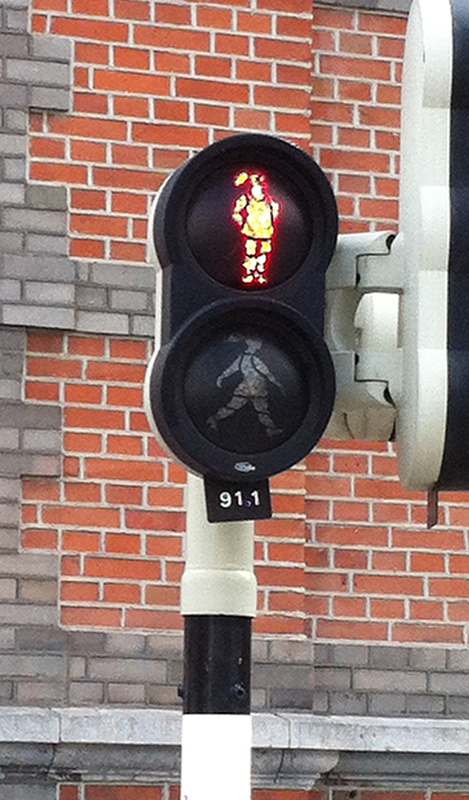 Challenging the de facto masculine figures that appear in your typical traffic signs, here is one spotted in Maastricht. My favorite part of this conference — and of conferences in general, these days — is people. I like to learn (as the preceding indicates), but I love seeing friends and making new friends. A note to younger readers who may have read that it’s nigh impossible to make good friends once you’re over 30: don’t believe it. You can still make good friends in your 30s and 40s (and, I’ll wager, after that!). My friend is not an other, but half of myself, and thus a second me — I must therefore regard my friend as myself. (a) Making an ironic point, a sign uses a table in order to advise others not to use it. 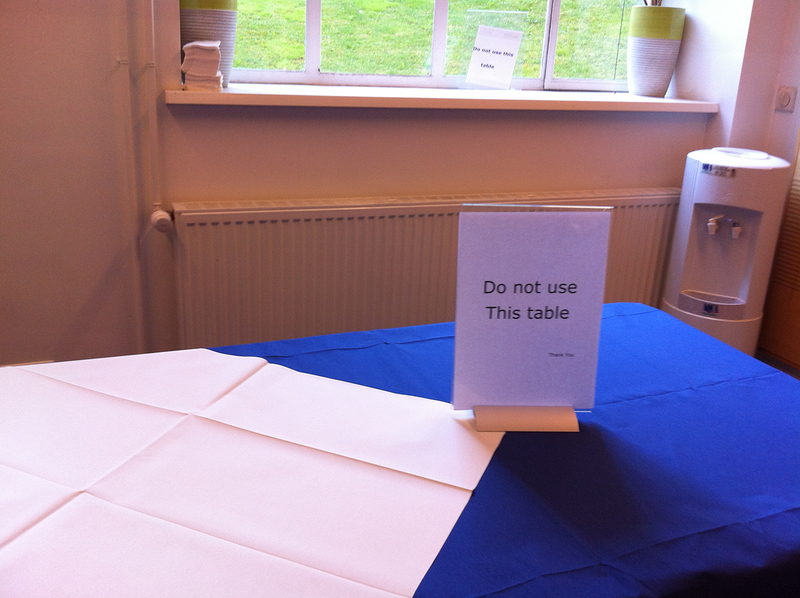 (b) An unlikely alliance between table and sign, in which latter defends former. (c) A firm refutation of the table’s table-ness: if the sign is using that flat surface, then that flat surface cannot be a table. (d) A table having an identity crisis. And a sign mocking it. 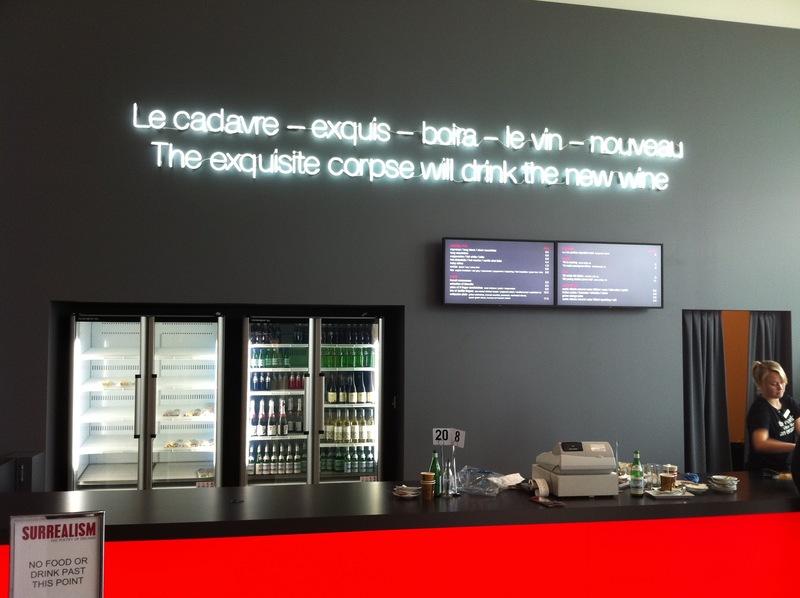 A clever riff on the Surrealist game that exploits the mysteries of accidental juxtapositions, this mid-exhibit bar also offered a welcome rest to travel-weary visitors (such as your humble narrator, who visited the exhibit following a 15-hour flight from Dallas-Ft. Worth). Should you find yourself in Brisbane prior to 2 October 2011, the GoMA exhibit on Surrealism is excellent, bringing in not only the usual suspects (Marcel Duchamp, Giorgio De Chirico, Max Ernst, Jean Arp, René Magritte, Salvador Dalí, Man Ray), but also some whose art is not as well known (Victor Brauner, André Masson, Dora Maar) and Surrealism’s legacy in works by Jackson Pollock, Arshile Gorky, Dorothea Tanning and Joseph Cornell. GoMA is also hosting a range of events in conjunction with the exhibit. 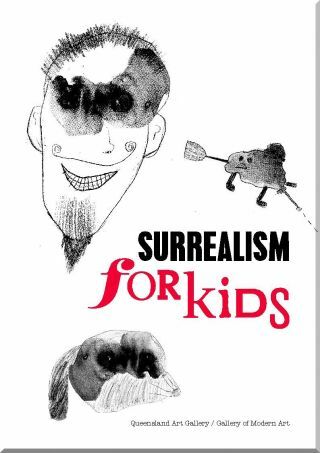 Since I’m in town to attend the International Research Society for Children’s Literature’s bi-annual conference, I should also mention that the exhibit has created kid-friendly captions for some of the artworks, and has created an interactive on-line component, The Surrealist Chronicle. Available for perusing near the Exquisite Corpse snack bar (pictured above) and for sale at the museum store, the book Surrealism for Kids also invites children to deploy surrealist techniques to explore their creativity.